Forgotten Hollywood » Blog Archive » “Forgotten Hollywood”- Iconic Game Show Host Has Died! “Forgotten Hollywood”- Iconic Game Show Host Has Died! 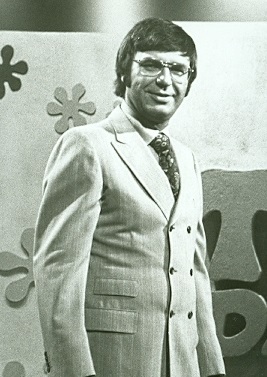 Jim Lange was known to television viewers as the host of game shows, including The Dating Game. He also worked in the San Francisco and Los Angeles radio markets, racking up over 45 years on the air. His network television career began in San Francisco with The Tennessee Ernie Ford Show in 1962, where Lange was announcer and sidekick. Three years later, he signed on to host The Dating Game. 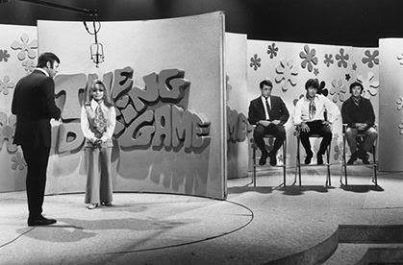 His other daytime game show included Hollywood Connection, $100,000 Name That Tune, and The New Newlywed Game. During December 2002, he appeared on Hollywood Squares for their Game Show Week. Jim became so popular that he appeared as himself on Bewitched, Laverne & Shirley, and Moesha. He also had a cinematic cameo in Confessions of a Dangerous Mind. This entry was posted on Thursday, February 27th, 2014 at 2:51 am	and is filed under Blog by Manny Pacheco. You can follow any comments to this post through the RSS 2.0 feed. Responses are currently closed, but you can trackback from your own site.